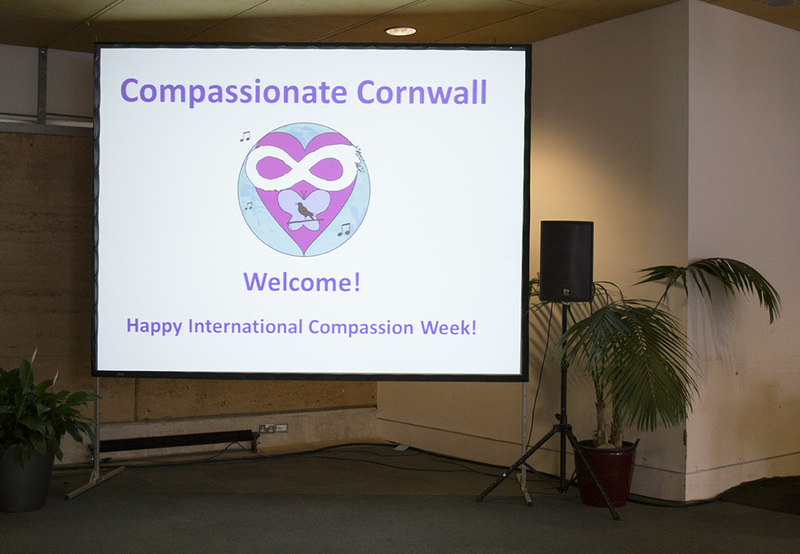 After several months of reflection and discussion following the launch of the Compassionate Cornwall Initiative and signing of the Charter for Compassion for Cornwall, a new steering group has been set up and a comprehensive action plan is evolving to take Compassionate Cornwall forward in its second stage. After some debate, we have changed the name from the Compassionate Cornwall Initiative to Compassionate Cornwall. We are working on developing a website separate from the Hope in the Heart one, and a group Facebook page for all partners. A little preparation is required before we are ready to start recruiting new partner organisations and reuniting those who are already partners, who are meanwhile continuing with their fantastic compassionate work in Cornwall. Thanks for bearing with us. It will be worth it! We at Hope in the Heart are delighted to be creating and maintaining active partnerships with fellow Charter Partner organisations within Cornwall, and farther afield in London and Southern Africa. (We also have collaborations in the pipeline with Charter for Compassion Pakistan, and have made contact with PVN Nepal following the recent terrible earthquakes in that country). Following her recent time in Southern Africa, Tam is building upon new partnerships with a number of organisations there that provide services to HIV orphans, young people and others, many affected by HIV and all by extreme poverty (see below for details of individual organisations). Here in Cornwall, we have partnered with fellow CIC Tiny Soul (https://www.facebook.com/pages/Tiny-Soul/645063392208790?fref=ts), who provide nurture boxes for babies born into poverty and abuse. As well as sending a box of children's clothes and other resources to the organisations in Africa themselves, Tiny Soul have agreed to provide regular supplies of knitted goods, made and donated by people in Cornwall, to Hope in the Heart, to dispatch to our fellow Charter Partners Phaphama Initiatives (﻿http://www.phaphama.org/﻿) in Soweto, who will distribute them amongst those in need there, including Charter Partners PUSH (Persevere Until Something Happens http://www.push.org.za/index.html, also in Soweto) and to Masiela Trust Fund (﻿﻿http://www.masielatrustfund.org.bw/)﻿﻿ in Botswana as well as (hopefully partners-to-be) Malealea Development Trust (http://www.malealeadevtrust.org/) in Lesotho. We have also packed a box up for PVN Nepal (http://www.pvnnepal.org/) who are struggling following the earthquakes. Choosing warm things with Suzy Messenger of Tiny Soul. Orphans and other children living in poverty in Soweto, Tam, and books she brought from UK, to their delight! The knits will keep orphaned and disadvantaged children in these communities warm during their cold winter, which is on its way, and in some cases save lives. Some of the children who will benefit are pictured above. We are delighted to be linking with other Charter Partners in this way, and there's still more...! Charter Partner elopement specialists Boho Cornwall (http://www.bohocornwall.co.uk/) have volunteered to sponsor the delivery of some warm clothes from Tiny Soul to the children in Africa. They also allowed us to use their beautiful St Just venue for our first Virtues Project course last week (following Tam's VP training in Botswana courtesy of Botho, the Compassion Movement earlier this year). So many Compassionate Connections - this is what the Charter for Compassion is all about! 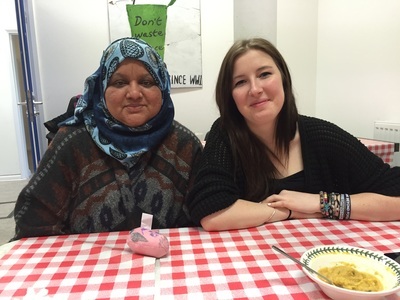 Further partnership work is happening with Cornish CIC Whole Again Communities (https://www.facebook.com/wholeagainsoups), who are providing their delicious, nutritious soup, as well as cake, and a venue (the Col Coombe Centre, Penzance) for Hope in the Heart's first funded course in the Hope - Action - Transformation! series (Thank you Big Lotteries!) Our second course in that series will take place in Bethnal Green, London, in June/July, where we are partnering with Charter Partners Simple Gifts (http://www.simplegiftsucsa.org.uk/), who will host us and provide a venue and group. (See pics below from a recent visit). Great partnership work, and many thanks to all! Compassionate Cornwall is featured in the March editorial of national paper Positive News (our second article in the paper this year). 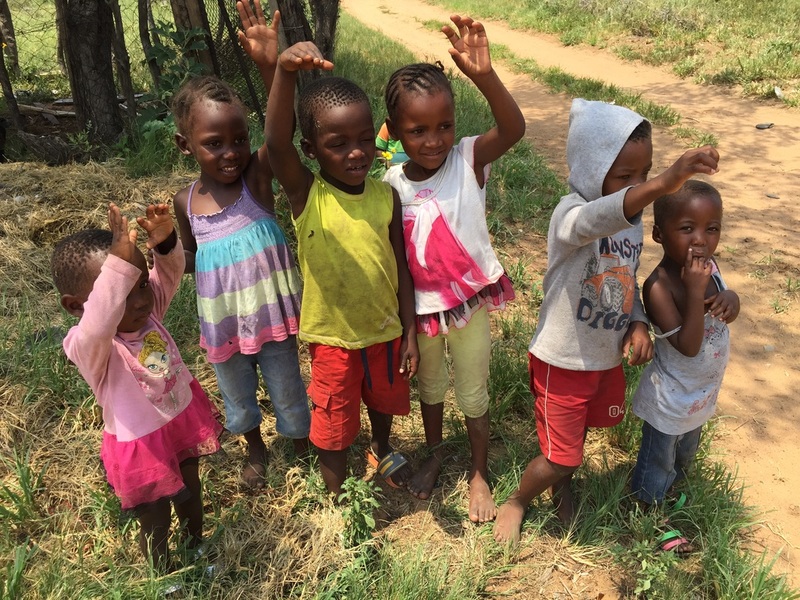 Tam has recently returned from Southern Africa, where she spent time visiting and liaising with Charter Partners in Botswana, recruiting potential partners in Soweto, and being welcomed by the wonderful people of these challenged yet warm communities. She also met with Wendy Laundau, who is spearheading a Compassionate Johannesburg Initiative, and shared experiences and ideas. At the beginning of February, Tam qualified as a Virtues Project Facilitator, in Botswana, along with representatives of Charter Partner organisations in and around Gaborone. She intends to offer Virtues Project training to organisations as part of the Compassionate Cornwall Initiative's aim to create a culture of compassion in our county. The Virtues Project is a UN-endorsed character education programme used in over 100 countries worldwide. The programme is already operating in Cornwall at Kehelland Primary School, where head teacher Geoff Smith and staff use it to great effect. Geoff and some of Kehelland's students were interviewed on national TV while Tam was training in Botswana. At Mokolodi School, which received correspondence from Gulval School, Compassionate Cornwall's first compassionate educational institution, and has promised to write back. Gulval School has become the first educational establishment to sign the Charter for Compassion, and is therefore the first Compassionate School in Cornwall! Tam spent a delightful morning talking with years 4 and 5 about Hope and Compassion, and helping them create pieces of art and writing for her to take to Botswana with the intention of initiating a link with a school there. Lovely to spend time in such a vibrant and nurturing environment! 10th January 2015 HAPPY NEW YEAR! WHAT'S NEXT FOR COMPASSIONATE CORNWALL? We have just had another week of meetings to work out how best to take The Compassionate Cornwall Initiative forward in the most proactive and effective way. At present we are seeking funding/sponsorship in order to progress and sustain the initiative, which has grown much bigger than Hope in the Heart has the capacity to manage. We are in a bit of a "Watch this Space" phase at the moment, while we take stock and build firmer foundations, but the cogs are steadily turning. Please be patient, and Compassionate Cornwall will be back on your radar soon! As part of the Compassionate Cornwall Initiative's commitment to international unity, the Hope in the Heart team is thrilled to be partnering with The Botho Movement (Compassionate Botswana) and Charter for Compassion Pakistan in a three-way arts project to inspire empathy and highlight the common aims and humanity of these three communities which are all striving for a culture of greater compassion, locally and globally. At the end of January, Tam will travel to Botswana, where she will train to be a facilitator of The Virtues Project and work for two weeks with the team The Botho Movement. 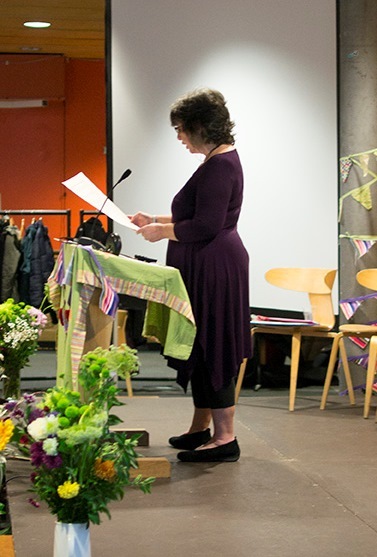 She will then spend a further nine days meeting people and helping to set up compassionate communities in Johannesburg and Soweto before returning to Cornwall to continue the ongoing tasks of developing various projects, and seeking funding to take Compassionate Cornwall to the next level. One of the organisations Tam will be working with in Botswana is Art of the Soul, whose staff and participants will receive art materials from generous benefactors in Cornwall to enable them to take part in the three-way project. We hope to offer some arts workshops in Cornwall in the near future, which will run simultaneously with workshops in Botswana and Pakistan, with a Skype connection between the three so that participants on three very different continents will be able to connect and communicate while creating Images of Hope and Words of Compassion. WATCH THIS SPACE to keep up to date with developments and please get in touch if you would like to participate in the workshops, or sponsor the project. 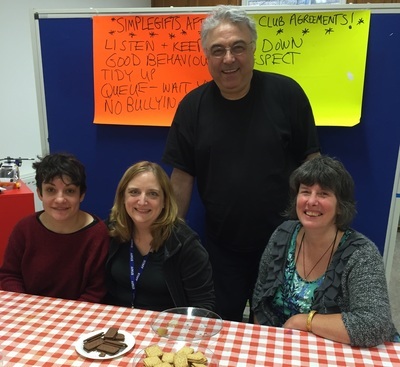 Hope in the Heart has received funding from Big Lotteries (Awards for All) to run three free pilot courses for groups wishing to make positive change in their lives, in Mid and West Cornwall. The courses are based around The Accept Perspective, a model of recovery that focuses on six criteria, one of which is Compassion. We are looking for organisations and community groups that can offer us a venue and a group of 10 clients who could benefit from the course, which will take place over five days (not necessarily all together). It will be interactive, creative, safe and fun, and we aim for participants to gain in confidence and clarity about the future, and leave with a range of new ideas and tools that will help them continue to move forward. Please get in touch if you have a group in mind and would like to know more. 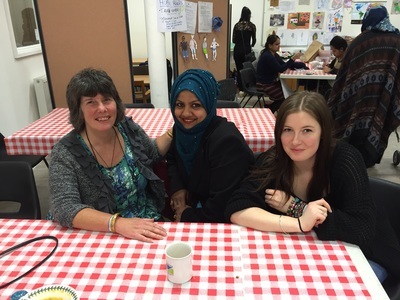 December saw the Hope in the Heart/Compassionate Cornwall team in London, attending a number of meetings and events. Tam gave a talk and Takako presented an exhibition at SOAS (School of Oriental and African Studies) on 2nd December, to a group of 20+ studentsand guests. The subject was the atomic bombing of Hiroshima and Nagasaki, and the Hibakusha (atomic bomb survivors) Tam worked with in 2012. 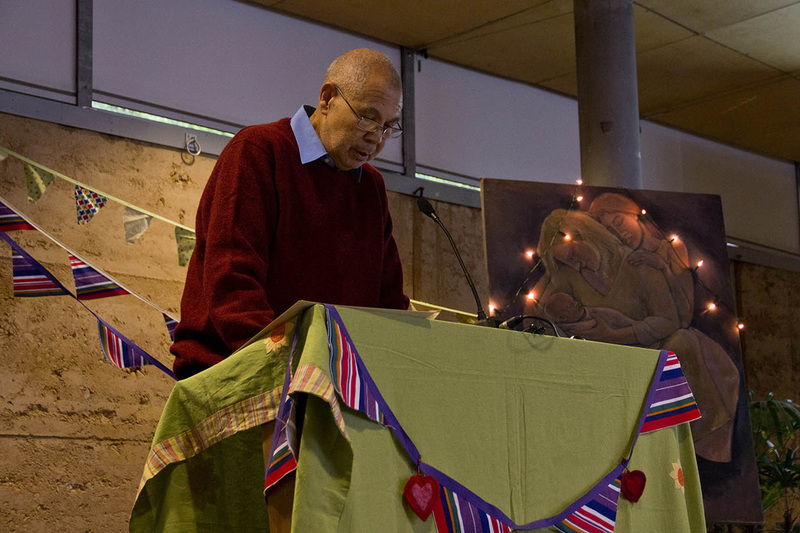 The stories of their incredible transcendence of unimaginable trauma, their collective message to the world and what we can all learn from their examples inspired those present, many of whom made cards and wrote messages of support to be sent to the Hibakusha. Tam and Fenna attended the Write to Life Christmas party at the Freedom From Torture headquarters, and met many amazing people from a range of countries who have escaped torture, trafficking and organised violence, and who find support through their fortnightly writing group. 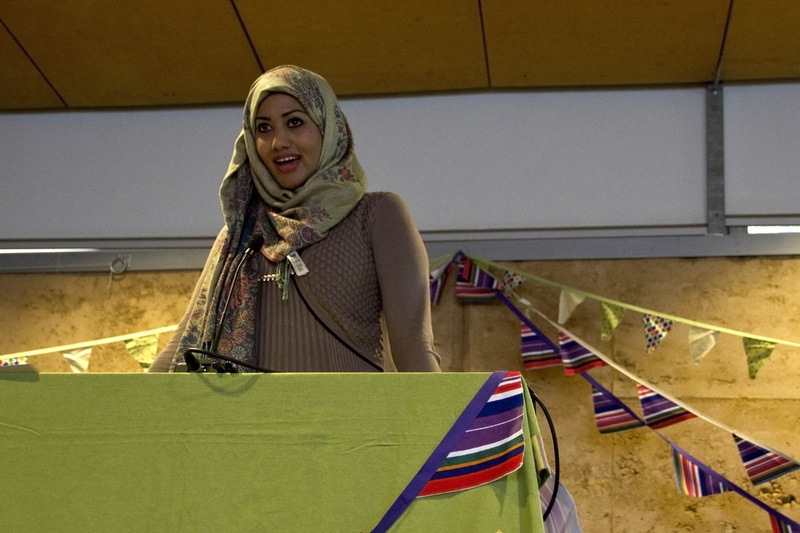 They also met with Amina Khalid, of Initiatives of Change, who moved the audience at the Eden Project in November to tears with her speech about compassion, to discuss future collaborations. Alan and Tam met with Shaun Danquah, who also inspired those at Eden, for similar discussions, and visited Islington Centre for Refugees and Assylum Seekers, to plan future art workshops there. 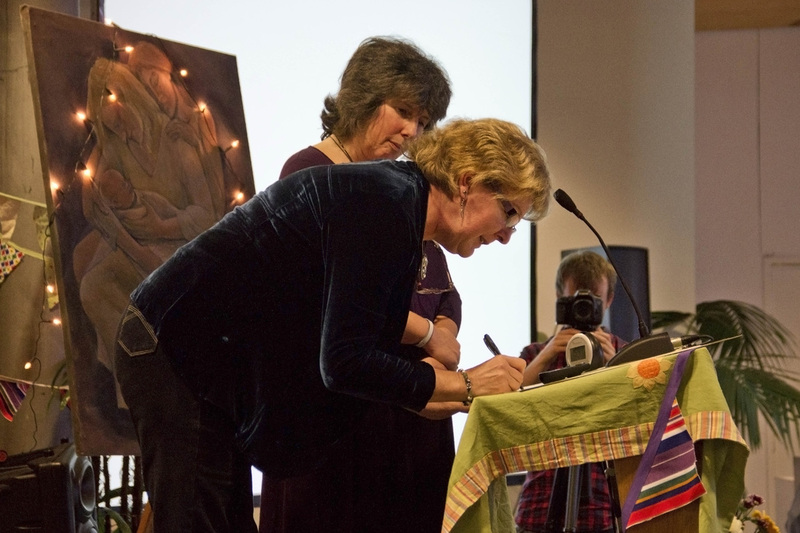 Cornwall became the first county in the world and the first community in England to sign the international Charter for Compassion on Friday 14th November (see photos below). 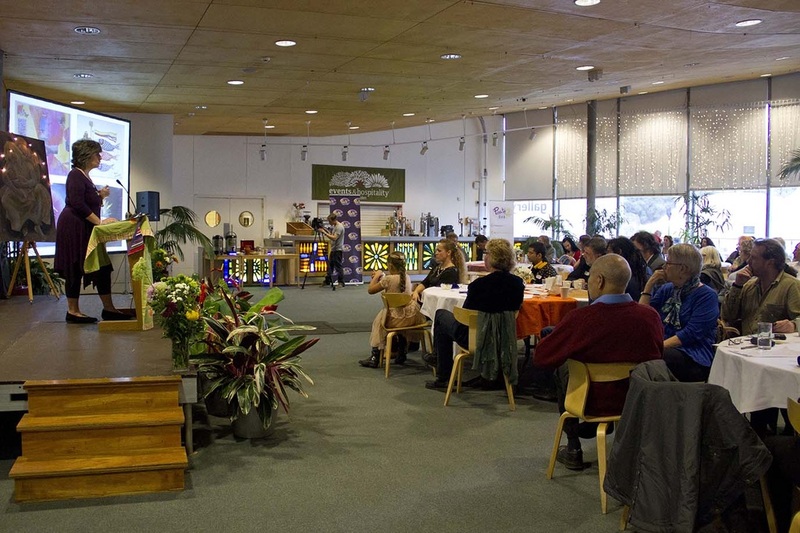 The launch of The Compassionate Cornwall Initiative, led by Penzance-based social enterprise Hope in the Heart CIC, took place at the Eden Project and was well-attended by a diverse range of guests from Cornwall and beyond. Sponsors included individuals attending, and Pirate FM, the first media company to become a partner of Compassionate Cornwall. 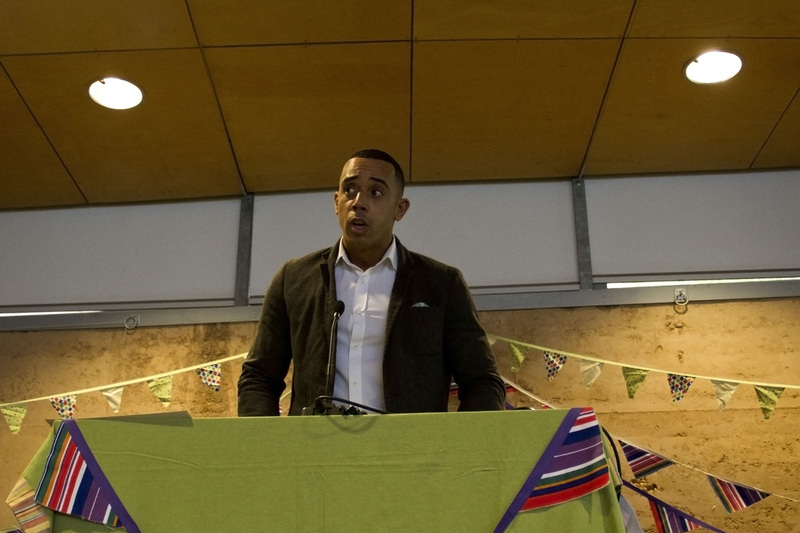 International and local guest speakers included Lionel Morrison, youngest detainee in the infamous Treason Trial in 1956, with Nelson Mandela and Walter Sisulu; Shaun Danquah, an ex-gang leader, now academic and CEO of Leicestershire Ethnic Minority Programme; Amina Khalid, a former Somali refugee, now working for international organisation Initiatives of Change. 18 local community leaders and members signed the Charter for Compassion for Cornwall, a document that calls for the restoration of compassionate action to the centre of our communities. The Charter for Compassion was founded in 2008 by British author Karen Armstrong, and has sparked a vast international movement of individuals, organisations and communities committed to creating positive change in our ailing world through compassionate action. 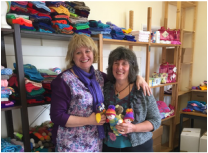 Tam Martin Fowles became a Charter Partner in 2013, soon after founding Hope in the Heart, a Community Interest Company that offers creative personal development courses and workshops for people seeking positive change in their lives. Tam registered Cornwall as a compassionate community in August of this year. She says “I have been stunned – and delighted - by the positive response from all kinds of people in Cornwall, and overwhelmed with the task of co-ordinating an initiative that I expected would grow slowly and has, in fact, snowballed into something huge in just three months”. Any organisation, business or institution is invited to become a partner of The Compassionate Cornwall Initiative and Charter for Compassion International. There is no cost or catch, and many publicity and networking benefits. Please visit the Compassionate Cornwall Initiative for more information and/or to sign. 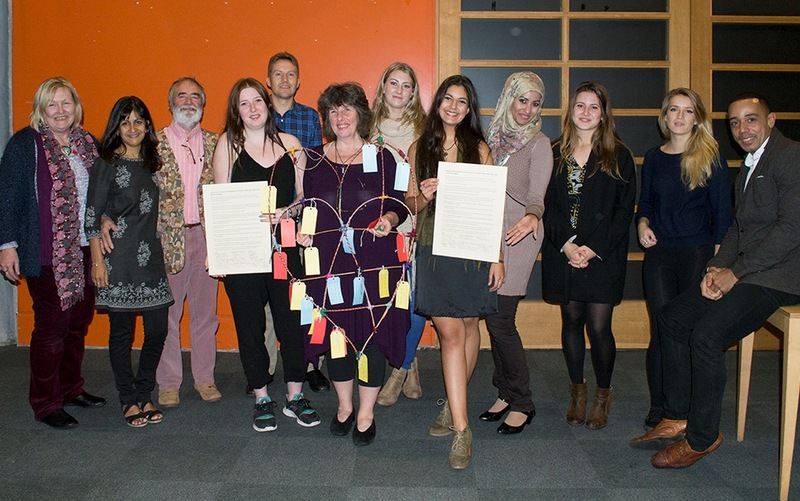 Fenna Martin (signing the Charter on behalf of Young, Ordinary people Making a Difference in Cornwall) and Sophie Coxon, both of YOMAD! Fenna and Sophie speaking about YOMAD! Members of the Compassionate Cornwall Team and speakers Amina Khalid and Shaun Danquah. 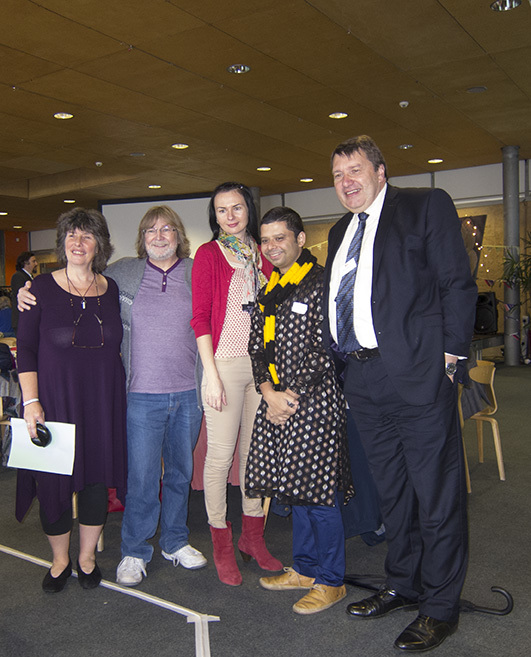 Tam MF, Graham and Julia Nicholls of Plymouth Mind, Sanjay Kumar of School of Cornish Sardines, and Cornwall Interfaith Forum, and Terry Stanton of Volunteer Cornwall. On Friday 14th November, 18 local community leaders and members signed The Charter for Compassion for Cornwall, making ours the world’s first Compassionate County and England’s first Compassionate Community. It is a courageous thing to stand up in public and make a commitment to act compassionately. We may not always manage it; and that’s OK. The most important thing is to intend it. To have it as our aim for every day, and to try to make the choice towards compassion whenever such a choice is to be made. It is not compassionate to demand perfection, or to judge when someone falls short of it. We show compassion, towards ourselves and others, when we accept our own and others’ imperfections, and still strive to do our best and encourage our neighbours to do the same. The world needs such commitment; such intent. Compassion is a vital component of human nature that, like a muscle, needs to be used and strengthened, every day. If we allow it to atrophy, we cannot be happy, and our world cannot be safe. Selfishness, division and hostility, despite their current prevalence in our societies, are not inherent to our species in the way compassion is. Too often our media and the corporations that seek control groom us via fear and greed to turn away from our compassionate nature towards these negative defaults. But there is a revolution going on beyond their reach. Cornwall is only one of a vast network of communities all over the world, committing to compassion. 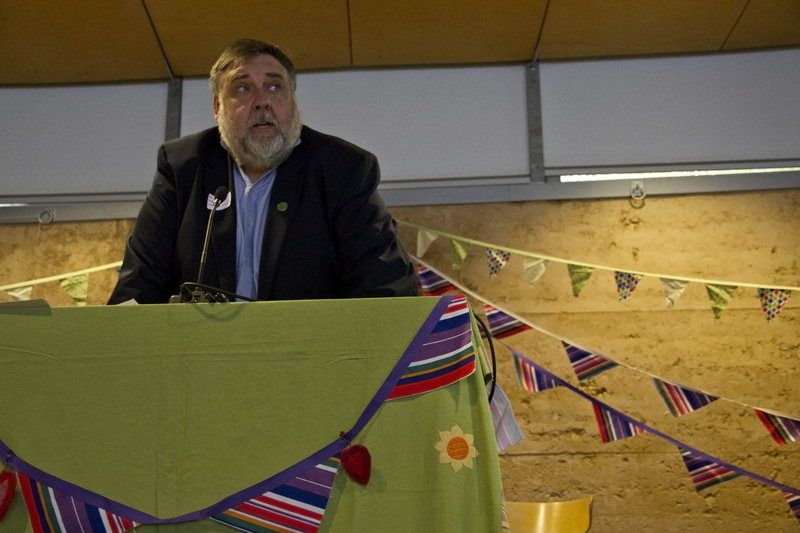 Individuals, organisations, towns, cities, entire countries are standing up and making this commitment. Not to perfection, but to doing our best; to being as compassionate as we can, in every moment of every day. To working out, and strengthening the compassion muscle a little at a time. That’s all we need to do, and by doing it, we WILL change the world! We are delighted to report that The Compassionate Cornwall Initiative has grown beyond all anticipation. 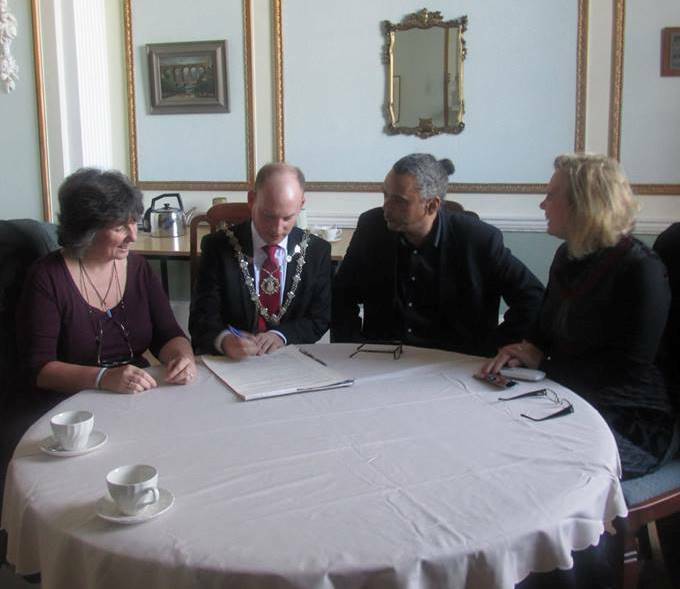 With our launch and historic signing of the Charter for Compassion for Cornwall last Friday 14th November, and nearly 40 organisations and businesses now registered as partners, we are looking forward to "phase two" of the initiative, during which we hope to collaborate with many more people committed to compassionate action. 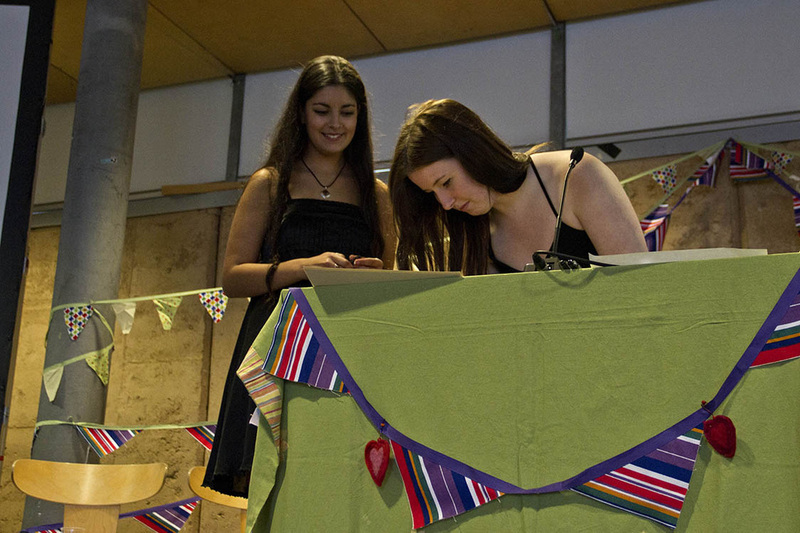 And to PCDT and The Workbox, and all the wonderful helpers who made this event possible. This is the Charter for Compassion for Cornwall, which was signed at The Eden Project. click here to view. Due to the unexpected growth of what started out as a small venture only three months ago, we have been overwhelmed with the task of keeping up with communication, demand and the planning of the launch and signing. We have not had the capacity to manage it all as efficiently as we would have liked. Apologies for not always keeping up with website posts or getting news out via other channels. The document that was signed on behalf of Cornwall can be seen below (Charter for Compassion, Cornwall). It aims to incorporate the essence of The Charter for Compassion Internationl and the Compassionate Cornwall Charter page - also both below.